A new light attack aircraft could provide the Air Force a cheaper, more cost-effective way of dealing with low-end threats — and free up its more advanced fighters to deal with more serious adversaries. But some critics fear that sending a slower, more lightly armored, propeller-driven plane into battle — even in relatively permissive environments — could put pilots at risk of being shot down or even killed. For years, the Air Force has used fighters such as the F-15, F-16, and the F-22, as well as the A-10 Warthog and AC-130 gunship, to wage war against the Taliban, Islamic State, and other insurgent groups in Iraq and Afghanistan. But with none of those groups having any semblance of an air force, and with limited air defense capability at best, the Air Force has at times sent some of the most advanced fighters in history up against targets that are way below their weight class. For example, last November, an F-22 helped strike a Taliban drug lab in Afghanistan — and with the Raptor costing roughly $70,000 an hour to fly, some have questioned the cost-effectiveness of such missions. It’s like “using a Rolex to drive a nail,” said Mark Gunzinger, a senior fellow at the Center for Strategic and Budgetary Assessments, and former deputy assistant secretary of defense for forces transformation and resources. This is a particularly bad time for the Air Force’s fourth- and fifth-generation fighters to be tied down in the desert, bombing ISIS fuel trucks or carrying out other counterterrorism-related missions. Tensions on the Korean Peninsula are higher than they’ve been in decades, with North Korea’s advancing nuclear capabilities stoking concern that America could be on the verge of war. And with European nations nervous about Russian aggression, the Air Force has been sending more aircraft to deter Russia and support allies as part of the European Reassurance Initiative. If things go wrong, the Air Force is going to need as many F-15s, F-16s and F-22s as possible to operate in highly contested environments. 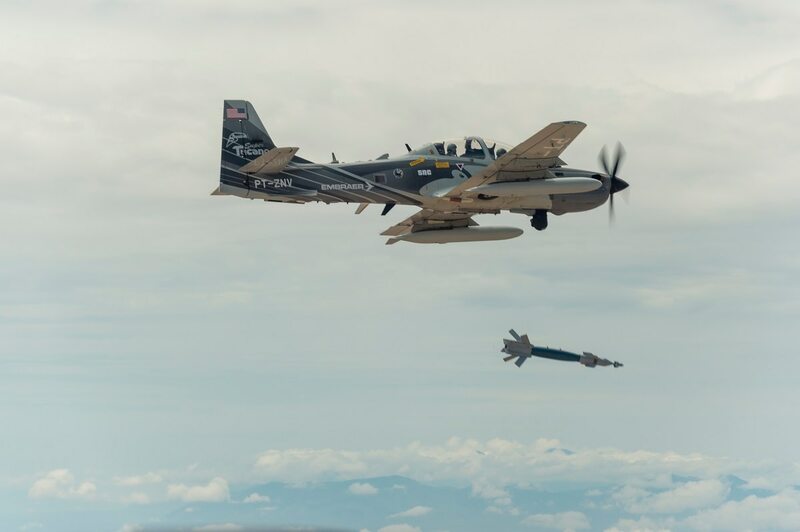 So, if the Air Force adds an OA-X light attack aircraft to its inventory — it’s now trying to decide between Textron Aviation’s AT-6 Wolverine and the A-29 Super Tucano, which is built by Sierra Nevada Corporation and Embraer — it could have the flexibility to respond to those emergencies with its most advanced aircraft without leaving places like Iraq and Afghanistan unattended. Top Air Force officials such as Gen. Mike Holmes, now head of Air Combat Command, have said that buying such an “off-the-shelf” airplane would provide a low-cost way to strike violent extremist groups, without the high costs of maintaining and operating the A-10 and fighters. Gunzinger said that adding a light attack capability to the Air Force’s suite of weapons systems makes sense for other reasons as well. 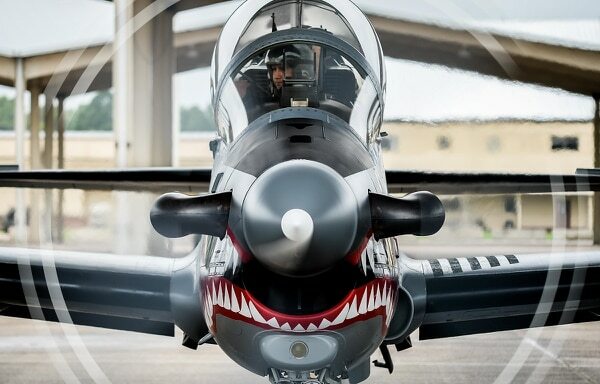 Having the Wolverine or Super Tucano in the inventory — especially with their low flight costs — would mean more cockpits that could be used to keep pilots current, allowing them to more quickly transition over to more advanced aircraft if necessary, Gunzinger said. 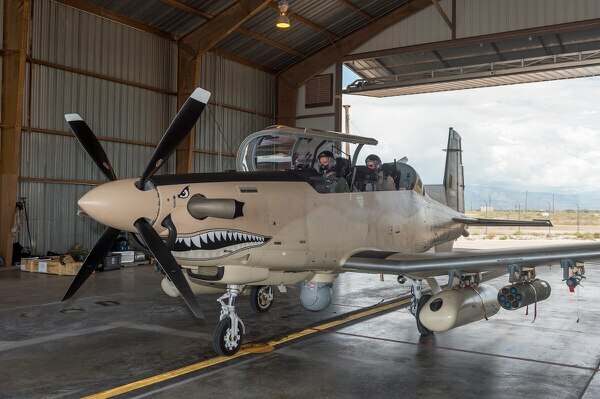 A Wolverine or Super Tucano could also take on some of the close-air support missions that Warthogs now perform at much higher cost, wrote retired Lt. Col. Michael Buck last October in a paper on CAS for the Air Force Association’s Mitchell Institute for Aerospace Studies. The Super Tucano typically costs $1,000 per hour to fly, Buck said. That’s less than 1/20th what it costs to fly an F-16, and 1/60th of the flying cost of an F-22, he said. Having the OA-X provide close-air support and counterinsurgency support would also mean less wear and tear on the F-15, F-16 and F-22, Buck said. This would free up those aircraft so pilots could spend more time training for combat in high-threat situations, he said. But some critics fear that the limitations of a light attack aircraft make it too risky to fly — even in more permissive environments such as the Middle East. The Air Force and Navy lost 266 A-1 Skyraiders in combat during the Vietnam War, according to Aviation History magazine, a sister publication. Today, the OA-X candidates fly lower and slower than the Air Force’s fourth-gen fighters, as well as the A-10. The F-15 and F-16 have maximum airspeeds of 1,875 and 1,500 miles per hour, respectively, and ceilings of 65,000 feet and above 50,00 feet. The A-10 has a maximum airspeed of 571 miles per hour and a ceiling of 45,000 feet. The Super Tucano, on the other hand, has a maximum airspeed of 366 miles per hour, and a ceiling of 35,000 feet. The Wolverine — which is a variant of the T-6 trainer aircraft now used by the Air Force — has a maximum airspeed of 510 miles per hour and a ceiling of 31,000 feet, according to an Air Force fact sheet. It’s one thing for the A-10 to fly low and slow, Aboulafia said, since it’s built like a titanium bathtub and is jam-packed with ordnance. But if the pilot of a lightly armored OA-X found himself targeted by insurgents wielding MANPADS, a man-portable air defense system, or other weaponry — possibly even small-arms fire, 12.7mm DShK heavy machine guns, or rocket-propelled grenades — he could be in trouble, Aboulafia said. John Venable, a Heritage Foundation fellow and former F-16 pilot who flew combat missions over Iraq and Afghanistan, agreed the potential risk to pilots in light attack aircraft would be alarming. He pointed to the Russian Su-25 pilot shot down over Syria Feb. 3, who unloaded his pistol at rebels and then set off a grenade rather than be captured. In 2015, a Jordanian pilot was captured by ISIS after being shot down and later horrifically burned alive. Air Force Secretary Heather Wilson said last year that the Afghan Air Force has not had any of its Super Tucanos shot down in 18 months of combat sorties. On Feb. 13, Wilson said she didn’t worry that pilots would be put in harm’s way flying a light attack aircraft. Aboulafia doesn’t think the cost savings from operating the OA-X would be worth the added risk to pilots. The Air Force hasn’t said how many light attack aircraft it would acquire, but Sen. John McCain, R-Ariz., last year suggested acquiring 300 of them. But Venable also worries that the Air Force doesn’t have the budget and resources to absorb several hundred new aircraft. The Air Force isn’t just trying to fix a pilot shortfall, now numbering close to 2,000 pilots. The service has for years struggled to close a 4,000-maintainer shortfall that hampered its readiness, and has finally gotten that shortage down to 200 maintainers. The service is now trying to get newly added maintainers enough experience to expertly repair its planes.